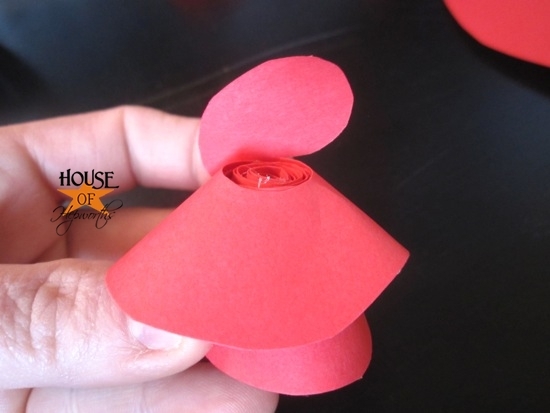 With Valentine’s Day right around the corner, I thought I’d show you how to make a pretty rose out of paper! These roses can be used for so many different things from filler in a bowl or cloche, glued to stems, or added to a variety of accessories. 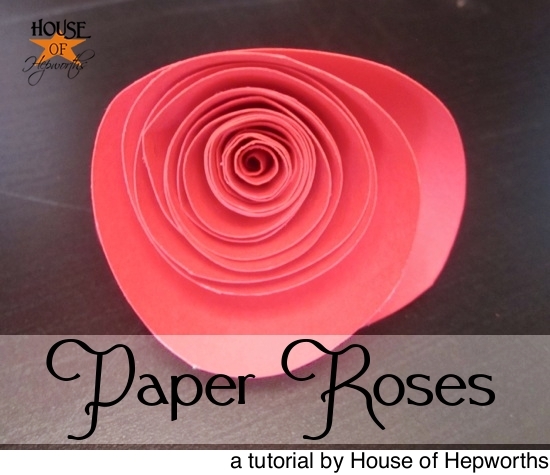 Paper Roses are so easy to make and only require a few supplies and some patience (I like to make them while watching TV). * a 6×6″ square of cardstock. I buy 12×12″ sheets of cardstock and cut them into 4ths. 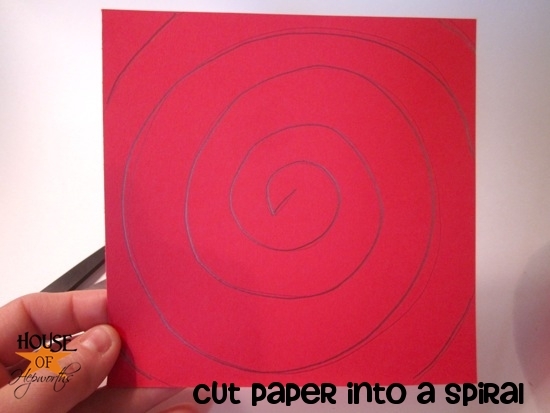 Start by drawing a spiral on your paper. Make the lines of the spiral about an inch apart. 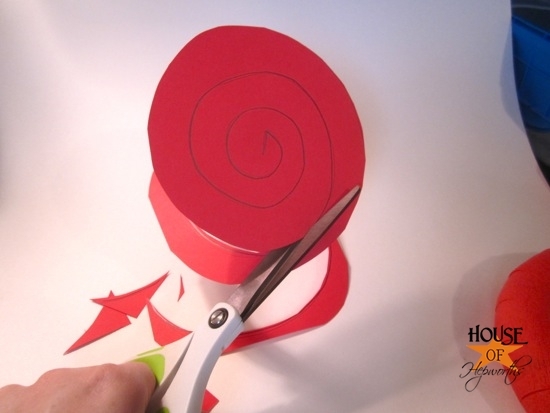 Now cut your spiral out. 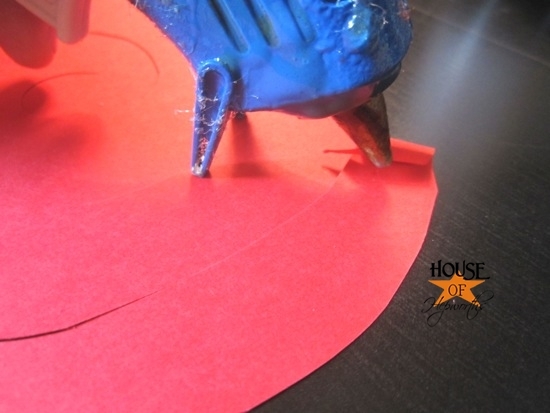 Once you do this a few times you can probably eyeball it and won’t need your pencil anymore. 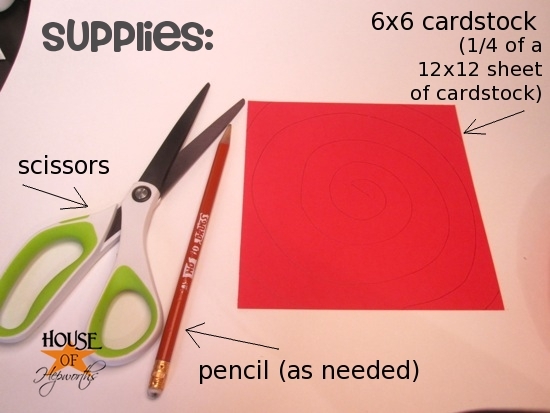 When you are done you are left with a spiral or spring of paper. 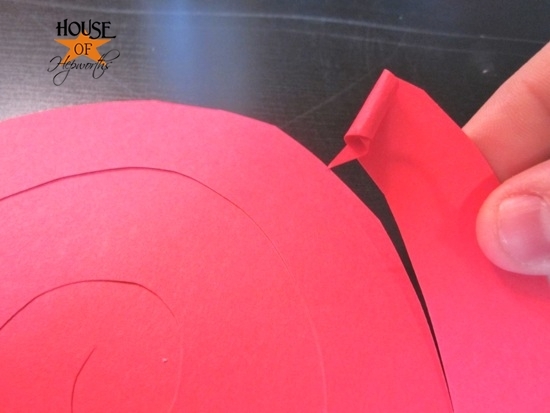 Starting with the outside of your spiral, you roll the paper around and around. Do it tightly at first, then get looser the closer you get to the middle. 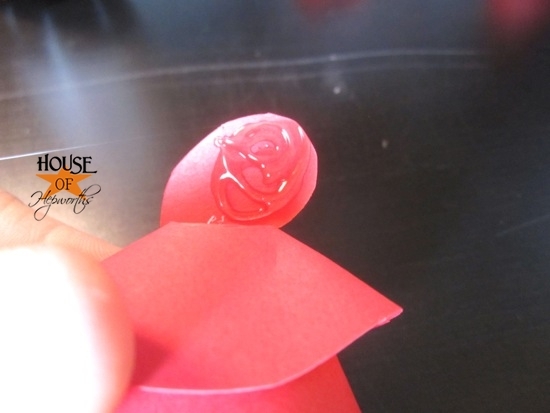 Add a very tiny dab of hot glue ever few twists to secure your flower in place so it doesn’t unravel. 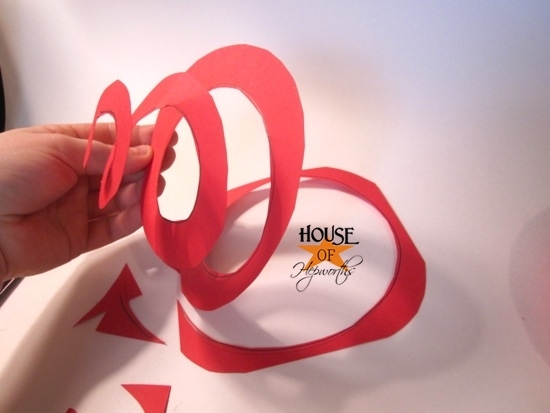 As you work your way to the middle of the spiral, keep the bottom edge in line. 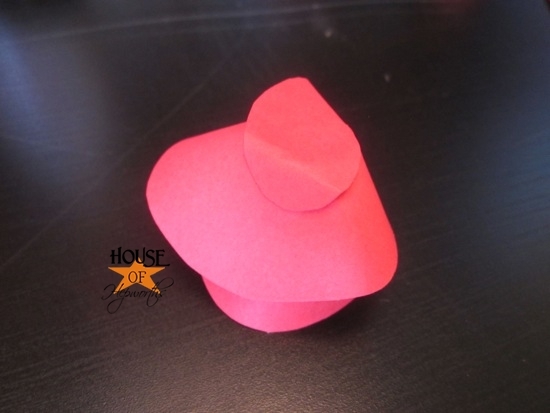 Because of the spiral shape, your “petals” will get further and further apart as you roll. When you get to the center of your spiral, you will be left with a piece that doesn’t quite fit anywhere. You can cut this piece off, but I prefer to hot glue it down to the bottom of my flower for additional stability. Here’s the underside of the rose now that it’s finished. And here are the completed roses. Aren’t they stunning? 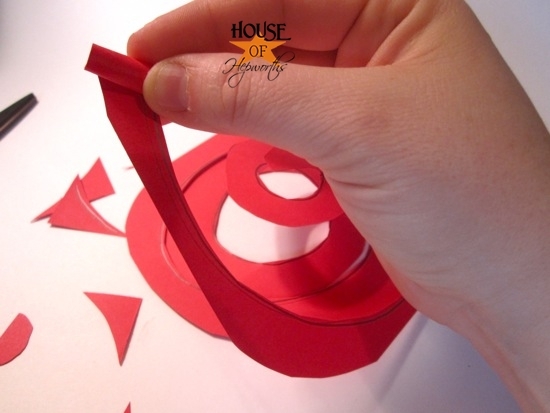 I’ve got a great Valentine’s project in the works using a bunch of Paper Roses, but you will just have to wait and see! 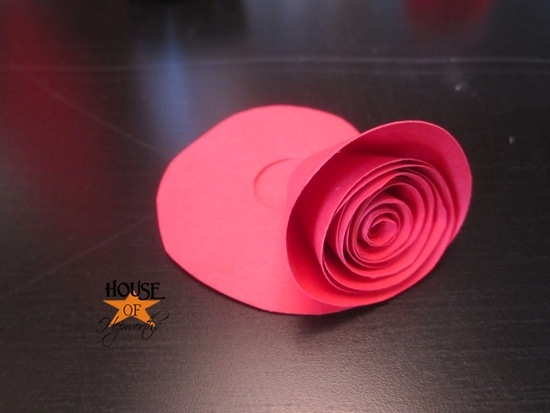 In the mean time, enjoy making your own paper roses, just in time for the big day o’ love. « I’ll choose Safety for $100, please?! Ooh, pretty! I’m going to have to make some of these babies! Cute! And EASY! I love it! I remember trying to do something like that in school, but ours never looks that nice, I love it. So beautiful. Thanks for the tut….!!! I have read sooooo many tutorials on how to make this rolled paper rose wreath & not a single one mentioned some of the tips you did! Glue every so often to help the roses hold their shape & my very favorite. . . . wrapping the form in crepe paper first! Hot glue, tacky glue, quick dry glue, etc., etc. & the darn little roses just slid off the foam, no matter how much glue I globbed on or how long I held them down! Why didn’t I think of covering the form?! (I tend to miss the obvious!) Lightbulb went off as soon as I read your instructions! Augh! Thank you a million times!